As we strive to maintain an optimum level of health, it is important to be mindful of our oral health. Oral health is intimately intertwined with our general health. Initiation of food digestion, manifestation of many systemic diseases, and a harmonious bite that supports our chewing, facial form and smile are among some the main functions of our oral apparatus. Today, tooth loss continues to be a very relevant problem in our society. One hundred and twenty million Americans have at least one missing tooth. Decay, periodontal disease, and occlusal trauma (applying excessive biting forces) are the main reason for tooth loss. Once we suffer tooth loss (whether back or front teeth) we are exposed to many risks that can ill affect our oral health. Among these risks, occlusal disharmony (uneven bite), shifting of teeth, and the need for the remaining teeth to handle more than their share of function, deserve foremost consideration. In the past, tooth replacement was accomplished by bridges and partial or full dentures. These modalities would use our other teeth or the remaining ridge of bone for support. Overtime, our other teeth would suffer due to excessive forces and exposure to unhygienic spaces. This would cause further tooth loss in the future. Moreover, the area of the missing tooth/teeth would suffer from gradual bone loss, as the supporting bone was left without function and thus it would atrophy. This would allow for loss of form and support in our face and smile. With the advent of dental implants, the dental community is equipped with an unmatched way to replace a missing tooth/teeth. Since 1965, dental implants have been used to rehabilitate and restore our oral health, as it relates to missing teeth. Since then, major advances have been realized to allow for improved stability, ease of placement, quicker integration (fusion of the implant to the bone) and longevity of dental implants. 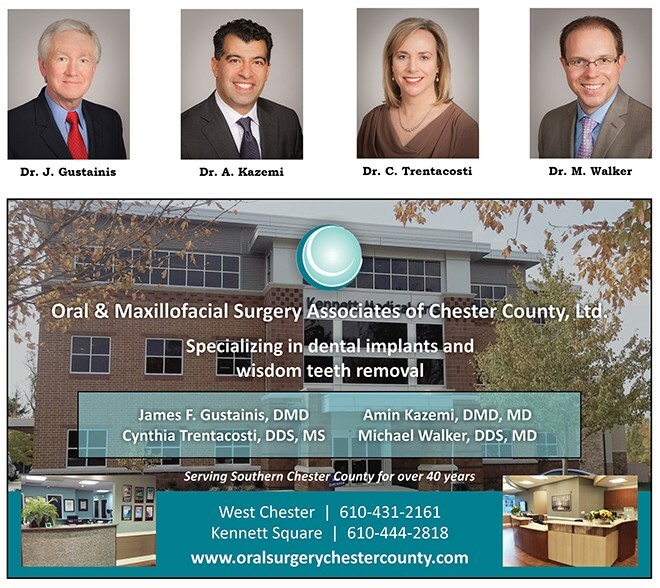 Oral and Maxillofacial Surgeons have been in the forefront of performing dental implant placement. These surgeons are uniquely qualified to rehabilitate missing teeth, bone, and gum tissue in the mouth. Many times, bone and tissue grafting are necessary to allow for the proper foundation and form for correct implant placement and restoration. Dental implants are anchored in our jaw bone like a natural tooth. They do not rely on our other teeth for stability, thus don’t apply excessive forces to them. Dental implants help maintain our healthy jaw bone in the area of the missing tooth/teeth. They allow for restoration of facial shape and a harmonious smile. Dental implants last significantly longer than bridges and partial dentures. For this reason, they are financially a more responsible choice. Although dental implants require proper hygiene, they will not suffer from decay. These are just a few of the many advantages that dental implants pose in restoring our oral health. Our oral health suffers enormously by tooth loss. Dental implants are uniquely suited to help us restore missing teeth. They have been well studied around the world over the past 52 years. These studies have shown supreme safety, longevity and low complication rates, especially in the hands of experienced surgeons.